Nuts for Solid Axle Wheels: 3/4"
IXOW now provide a comprehensive selection of accessories to protect our wheels and seats. And what’s great is that we can choose between two methods of security: either a gravity based system or one that uses a special key. So I got hold of a pair of their gravity based wheel skewers and a key based seatpost clamp to see how they’d stand up to a couple of months use on the mean streets of Barcelona. All the accessories that use the gravity based system work in the same way. They use a regular hex key to tighten or loosen the bolt that secures them to the bike. But when the bike is upright, the bolt can only be tightened. It simply won’t turn anti-clockwise. And this obviously means that no-one can loosen, remove and steal your stuff. At least while the bike is upright! If you want to adjust your seatpost or remove your wheels, you just need to turn the bike upside down, whereupon the gravity based system will allow the hex key to turn anti-clockwise so you can loosen the bolts and remove your stuff. The great thing about this system is that there’s no special tools needed. It uses a regular hex key. All you need to do is make sure your bike is locked so that it can’t be turned upside down. Which is pretty straightforward: if it’s locked to a fixed point, a thief shouldn’t be able to flip it. I tested the gravity wheel skewers on my bike. They were incredibly quick and easy to install. Simply slip the skewer through the axle, make sure the locked symbol is facing upwards and tighten with a hex key. (IXOW supply a hex key with the lock just in case you don’t have one). Sometimes gravity based systems are a bit temperamental and don’t perform reliably when they’re turned upside down. But I didn’t have any problems with the IXOW wheel skewers. As soon as the bike is flipped the bolts can be easily loosened. All in all it’s a very elegant, easy to use system! But if turning your bike upside down to access your stuff is too much of a pain, then IXOW provide an alternative: the special key. With this system, wherever there would normally be a hex bolt, there is instead, an irregular bolt that contains a number of small holes and a small key with spikes that fit perfectly into those holes. You simply fasten a hex key into one end of the key (for leverage), line up the spikes at the other end of the key with the holes in the bolt, and you’re able to tighten and loosen your seatpost clamp or wheel locks as you wish. Again, it’s very easy. 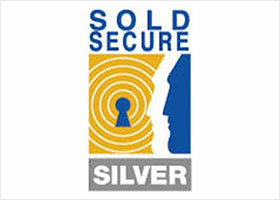 There are 40 different key combination which is certainly less than other systems but in reality is enough to deter the casual thieves which make up the vast majority of wheel and seat robbers! Of course you need to remember to carry the key round with you if you want to remove your stuff. But the keys are tiny so it shouldn’t be an inconvenience. And you also get a key card that enables you to register and then replace your key should you ever lose it. In my opnion both the gravity system and the special key are very secure. Are there more secure ways to protect your seats and wheels? Of course! I’m sure a super determined and skilled thief could work out ways to defeat both systems. Whether that would be with special tools, duplicate keys or some other ingenious method I’m not sure. But the chances of this happening are incredibly small. 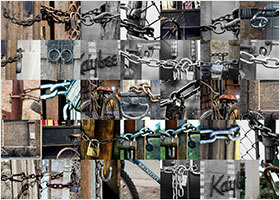 The vast majority of thieves just don’t have the skills, the equipment or the dedication to beat these locks. 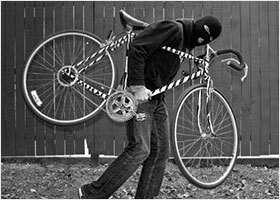 And those that do would normally be looking to steal whole bikes rather than accessories! And of course these locks are so much more secure that the flimsy little cables that people usually use to secure their wheels and seats. 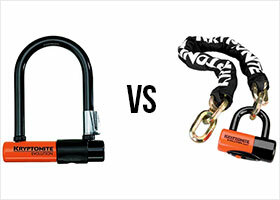 And so much more convenient that carrying an extra u-lock or chain. I’ve been using the IXOW seatpost clamp and wheel skewers without any extra security for over two months now. 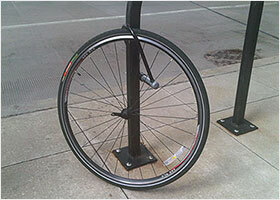 I found them really easy to use and they’ve protected my bike in an area where wheel and especially seat theft is rife. I used both the gravity system (on the wheels) and the special key (on the seatpost) together, purely so I could review them both. I’d recommend that you choose one or the other rather than mixing them up. Otherwise you won’t get the full advantages. Which one to choose? I would go for the gravity system unless you have problems turning your bike upside down (for example if it’s too big and heavy), purely because you don’t have to worry about losing the key or forgetting to take it with you. But both systems work well. Yes, there are more secure ways to protect your wheels and seats. 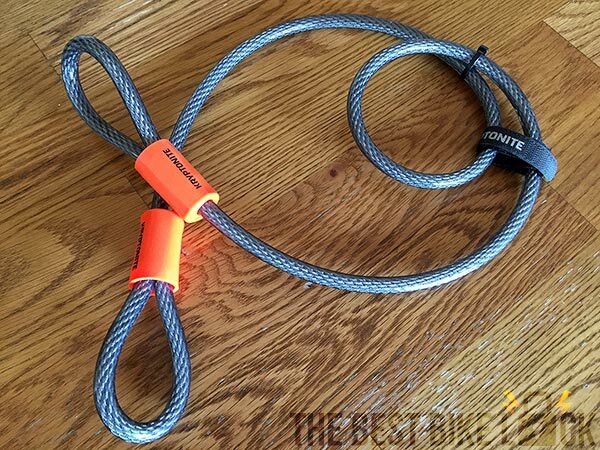 But the IXOW is incredibly convenient, reasonably priced and provides far more security than a cable lock. And what’s not to like about that?